As a divorce attorney, you know that the documents and other information you receive from opposing counsel during discovery can make or break your case, especially your complex high-asset cases. Unfortunately, many lawyers make the mistake of taking a one-size-fits-all-forever approach, using the same Requests list year after year for virtually all their cases. This can be a huge mistake. 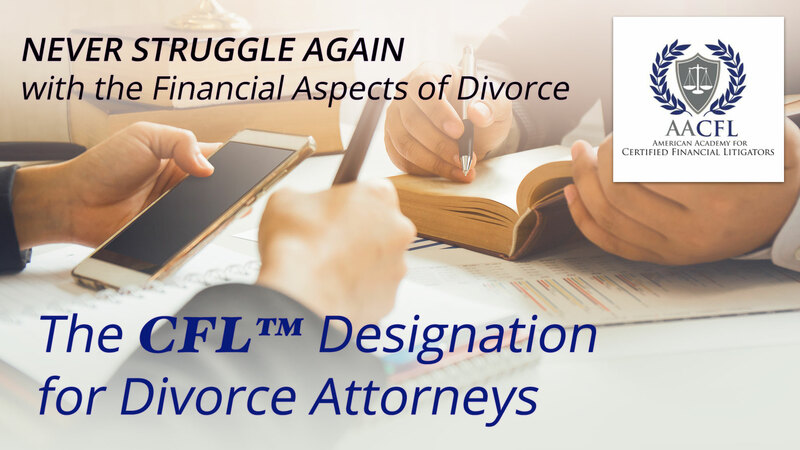 While your CFL Designation for Divorce Practitioners gives you the advanced financial knowledge necessary to fully comprehend and analyze the documents you receive, that knowledge does you little good if you don’t get all the documents you need. Consequently, it is in your best interests and those of your clients to update your Requests list frequently to make sure it includes everything you need in the format(s) you need it. To help you do this, the AACFL has two document request checklists that you can download for free, one for personal documents and one for business documents. These checklists were designed by lawyers and forensic accountants specifically for use by practicing attorneys. Your definitions section is critical since it will impact the documents you receive. If your definitions are too narrow, you may well not get all the things you need. Conversely, if your definitions are too broad, opposing counsel may bury you in irrelevant paperwork. Your best strategy is to stay focused on each specific case, as well as your theory and theme thereof. In other words, even though this is the discovery phase, you should already have your end game in mind. What will you need at trial to best serve your client’s interests? 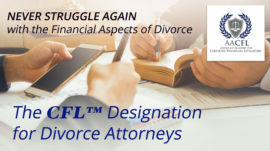 For more information on financial issues you need to be aware of, how gaining your CFL Designation for Divorce Practitioners will give you the financial knowledge and skills you need to attract additional high-asset clients, and the other benefits of AACFL membership, please visit this page of our website. States Sue Feds Over State and Local Tax Deduction CapCan a Divorce Sever a Joint Tenancy with Right of Survivorship?